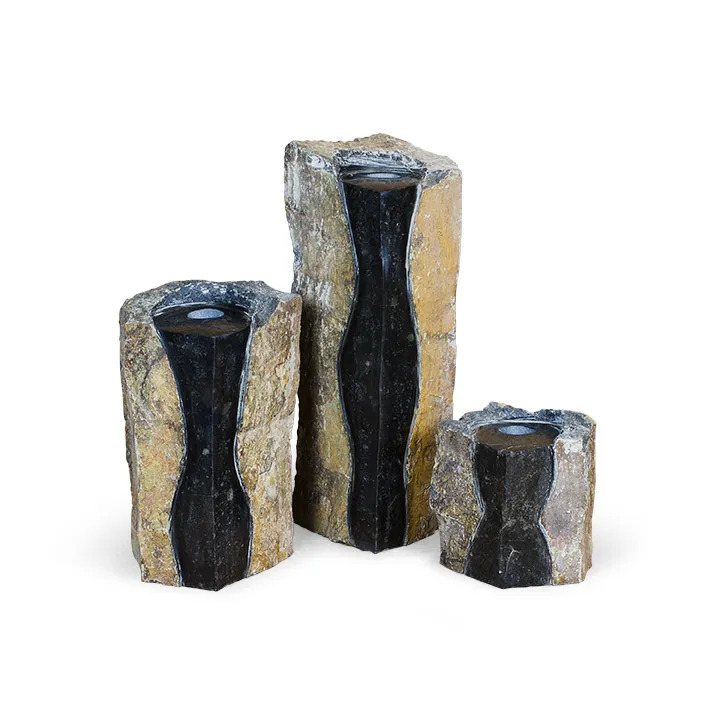 Double-Textured Basalt Columns Set of 3 - Aquascape, Inc. The Aquascape Double-Textured Basalt Columns incorporate the sights and sounds of water to any environment, creating a beautiful water feature wherever they are installed. The set includes stones of three varying heights at 8, 13, and 20 inches high. Aquascape Double-Textured Basalt Columns are handcrafted and textured from natural stone. 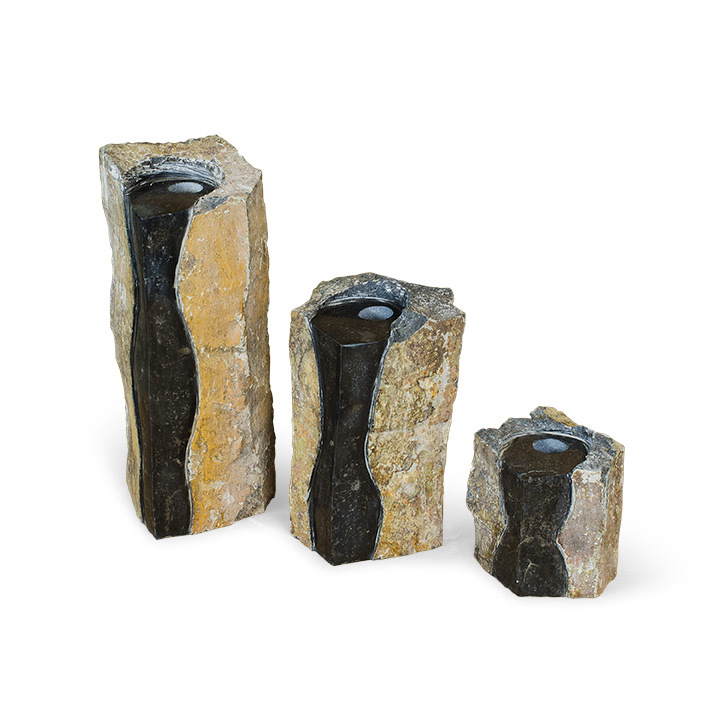 Once mined and shaped, the columns are drilled to create a stunning water feature. No two columns are the same, providing each stone with unique qualities. The columns can be paired with the Aquascape AquaBasin 30, kink-free tubing and Ultra 1100 Water Pump for a complete setup. Aquascape is passionate about the products we produce, providing unique products, designs, and features that stand above the competition.